Consumers want what they want, when they want it – and if you throw in something extra, that’s even better. If a father wants to pay bills on his mobile device while waiting in the pickup line at school, he wants to do it fast and be able to check account balances before the kids jump in the car. If a fitness enthusiast wants to order new running shoes from her laptop at 2AM, she wants to be able to do it with just a few clicks and expects to be served a special offer on running socks during the transaction. Consumers also expect instant gratification when it comes to customer service issues. After they’ve been on your website, they don’t want to have to pick up the phone and contact customer support to resolve their complaints. It’s clear that today’s consumers are not satisfied unless their interactions with your enterprise occur with speed and ease and offer a high degree of personalized service. It takes a digital transformation of the customer experience for your enterprise to meet these expectations. Your enterprise must recognize the customer, in whichever channel they show up, and present a tailored offer or service in a seamless transaction. You must also be able to take action before a customer complains. The critical moment of engagement between the enterprise and the customer, in any channel, is a business moment. It is in the business moment that the enterprise can turn a prospect into a delighted customer or a dissatisfied customer into a loyal one. The enterprise must have systems of engagement in place so that in the business moment, it can detect, understand and react to customer requests and personalize the customer experience. All this has to happen in less than the 250 milliseconds it takes for a customer to get antsy. And it has to happen for thousands, if not millions, of transactions occurring at the same time. This requires advanced analytical capabilities that can use transactional data effectively. If an enterprise’s systems are architected traditionally, with separate transaction and operational data silos, then bringing both the transactional and operational data into analytics will not happen instantly. This creates a noticeable time lag in the customer-facing application. Transactional analytics, however, can bring transactional and operational data together and analyze them instantaneously to support the critical business moment. In transactional analytics, data is accessed, consumed and analyzed in real time. This requires a transactional analytics database that can bring everything together consistently, at high speeds and high data volumes. Many available database solutions, including NoSQL variations and relational databases with caching, try to tackle the speed and scale challenges. These typically don’t work consistently because they’re not architected for those situations. Real time subscriber management is a good example of transactional analytics implementation to improve customer experience in Telco industry. To capitalize on the changing dynamics in the telco ecosystem, Alcatel-Lucent designed an application that would manage a carrier’s differentiated data plans based on real-time information. This application also had to provide real-time subscriber notifications about data usage and scale as new data plans were added. Customer experience is a key driver of digital transformation for the enterprise. 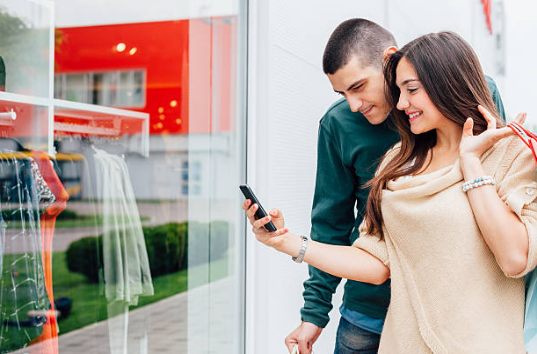 Connected customers demand more engagement and fulfillment. Enterprises have to rethink architectures of their transactional systems, in order to detect, understand and react to customer requests in the business moment. “Customer-Led Disruption Has Dramatically Impacted…;” D. Mager. Customer Experience and Loyalty Special Report; Raconteur, March 3, 2017. Attention spans, Consumer Insights, Microsoft. Accessed March 27, 2017. “Six Building Blocks for Creating a High-Performing Digital Enterprise;” D. Desmet, E. Duncan, J. Scanlan and M. Singer. McKinsey and Company, September 2015.